If reliability is something you crave in a pair of shoes (if it isn’t, you may need to reconsider), I bet you have Cole Haan in your closet. 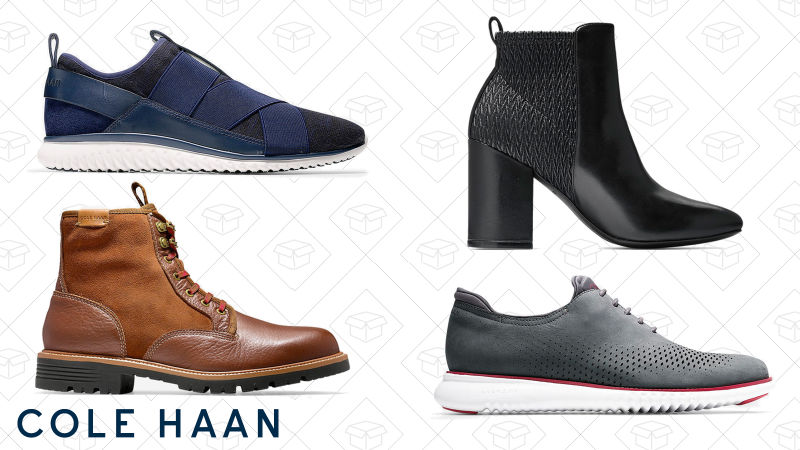 And if you’re looking for a new pair but don’t want to spend the normal asking price, Cole Haan is taking an extra 30% off their sale section with the code SAVE. Finally get a pair of ZERØGRAND’s (or the newer 2.ZERØGRAND’s) or waterproof boots that you’ll probably need in less than a month.